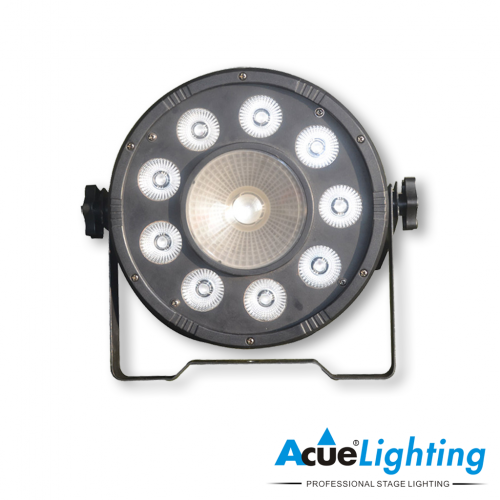 The Magic 6 Wireless Par light is a newer addition to our battery and wireless operated par lights. 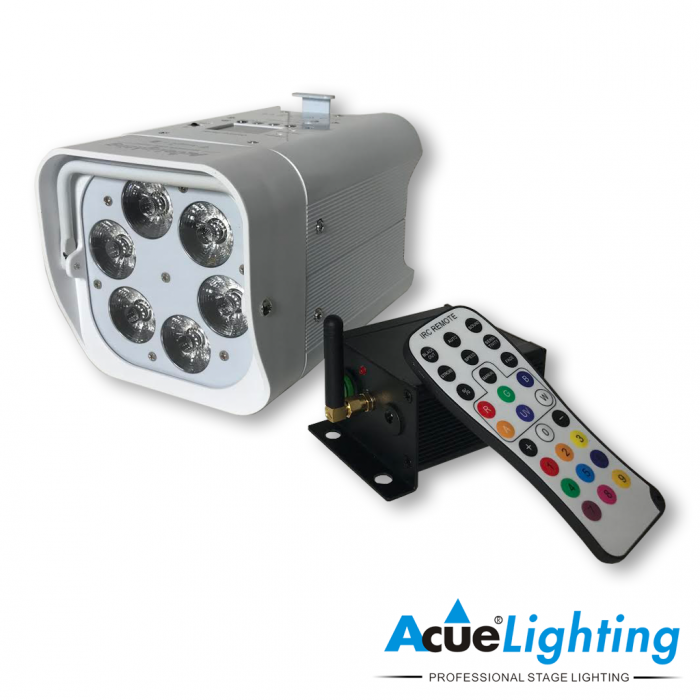 The fixture is loaded with many features; 6x15W RGBWW LEDs (Red, Green, Blue, Warm White), built-in wireless DMX-IR (remote control included) and built-in color and effect selection through display unit. 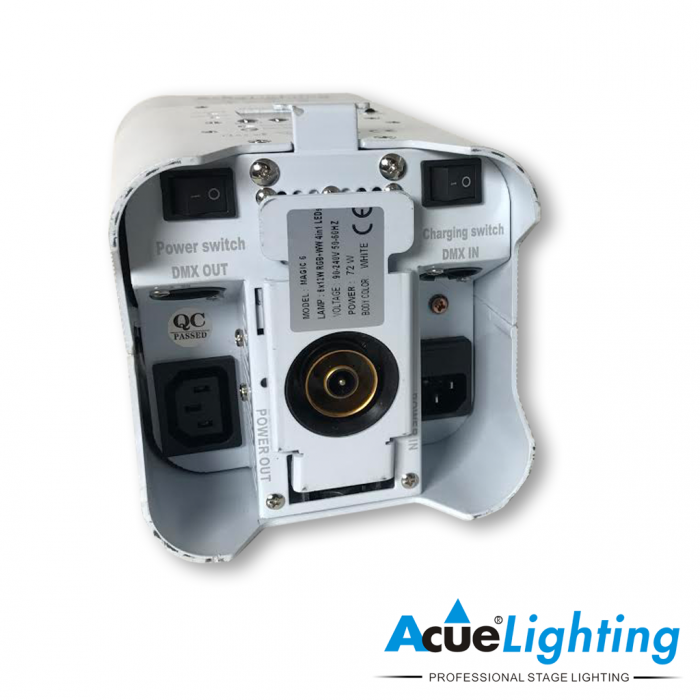 The flight case itself features wireless charging system, charging ports are built into the slots, all you have to do is place the lights inside and plug in the case. 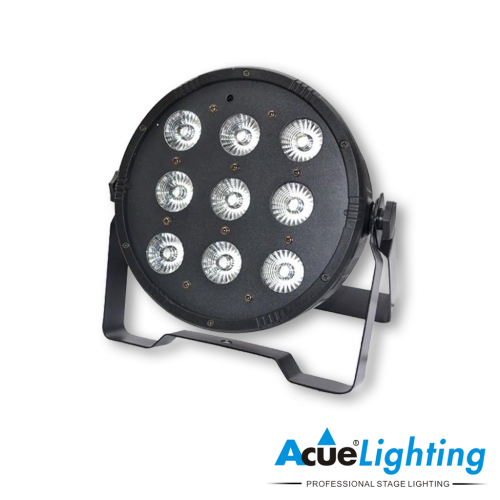 This package comes as a set of 8 lights with compact charging road case. 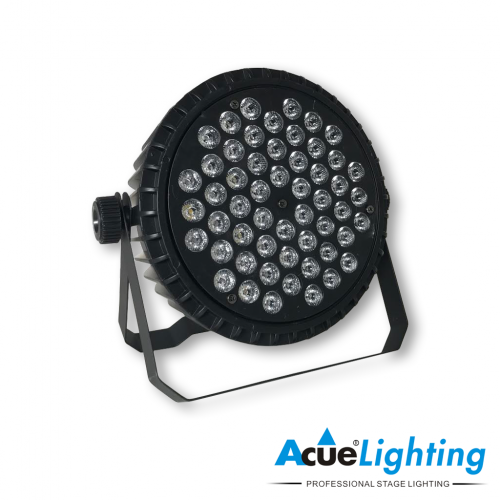 The Magic 6 fixtures have up to an 8 hour battery life at full output and up to a 20 hour battery life on single color output. 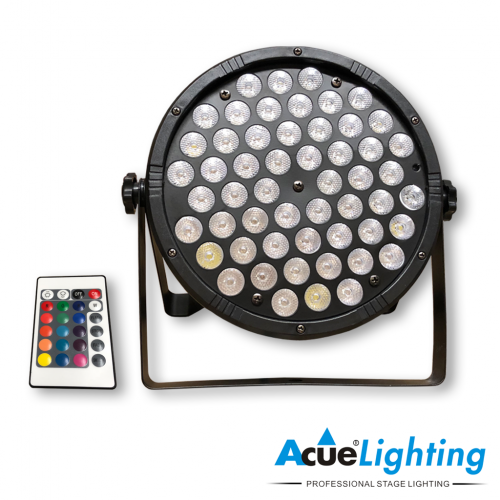 The Magic 6 Wireless Par light will cut setup time in more than half with no need to run any cables. They come in a white body, which eliminates the need to place a cover in front of the fixture when using it for formal events. 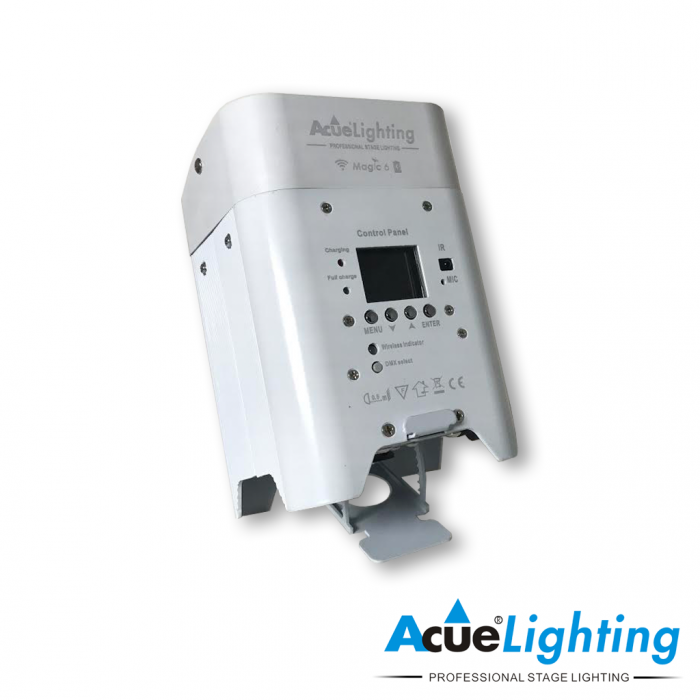 The Magic 6 is compact yet powerful, it is the perfect combination to make the best up-light on the market. Dimmer 0-100% Linear dimmer control by DMX or manual control from display board. Shutter Shutter strobe speed adjustable by DMX or manually from built in display.